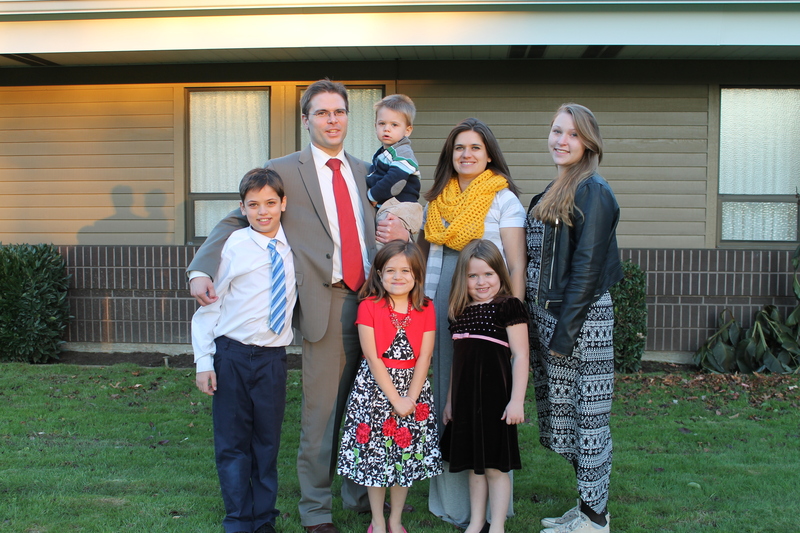 Rike from Germany with her host family at their church in Washington. Hello, my name is Frederike and I am an exchange student for Aspect in Washington State. I am 16 years old and in my host family I have four host siblings. But there is something special about my host family — they are members of the Church of Jesus Christ of Latter-day Saints, commonly known as Mormons. Many of my friends back home ask me what that is and how it is to live with them, because I am Protestant, so I will tell you. As I arrived at my host family, I had no clue what Mormons are, what they believe in and how they live, but now I am really used to it. Mormons are normal people like you and me, but they follow certain ideals. My host family goes three hours on Sunday to church, because they are Christians too: one hour Sacrament meeting, one hour split in age groups, and one hour young men, women or relief society meetings. The members of the Church of Jesus Christ of Latter-day Saints believe in the Bible too but added to that they have a book of Mormon, brought by the Prophet Joseph Smith, from which the name ‘Mormons’ come from. The values in their life are different, and their faith influences everything: from the job to the family. Important aspects are the Freedom to Choose, Humanitarian Aid, Community Service, Family History and Strengthening Families, Helping Others, Missionary Work and Lifelong Learning. They live without tobacco, coffee, tea and alcohol and do not use bad words. 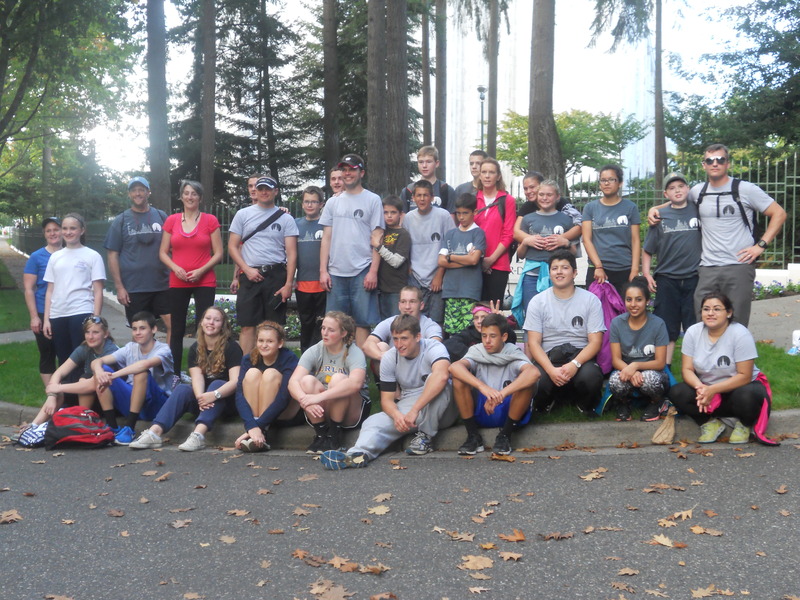 Rike from Germany with a large group of her youth group friends, who completed an annual 26 mile walk to a Mormon temple in Oregon! If people told me as I applied for my exchange year that I would be living with people who live like that, I would probably have not been sure that’s what I wanted. But I am so happy now and I cannot imagine a better host family. It took me about one week to even realize that I live with Mormons for this year because I did not really see it at the beginning — I just saw them as people. My host parents never force me to go to church or the youth activity. They even offered me to drive me to other churches, but I said I will try it and it is really fun. I go almost every Wednesday to the youth activity and I even walked 26 miles to the temple of the Church of Jesus Christ of Latter-day Saints with my youth group — I had so much fun! At home, I am interested in church but I almost never attend. But here, the church is my family and they help me with every little problem and they are real friends. So to every future exchange student reading this out there: Don’t be scared for something new, you will never know how happy it could make you except when you tried it. Living with my host family is not the easiest, because I have to watch my language and really have to learn a lot about their religion. But this host family was a blessing for me, and they showed me a lot of different parts of myself and my own religion that I would have never seen without this experience. So even if this is not what I had planned, living with Mormons is really awesome and I am so excited for the rest of my 8 months of my exchange year!